The 7th century will be stood the posting station town of the Kusatsu highway that the load stayed once, and the third floor of wooden [ traditional ], a Japanese style Ryokan is built, and a Founded or started to use this hot spring has row hot spring sentiment.It is also a certain noted spring that yudanaka Oyu reigned to the east yokozuna with public bathhouse ranking. 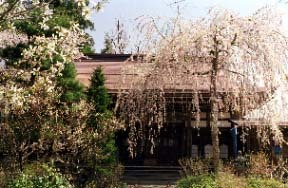 It is a connected Baiou-ji to Issa. 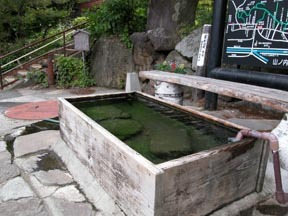 Issa is staying at a yudanaka for a long time, and there are many places of connections, such as a walk road of 1 tea. 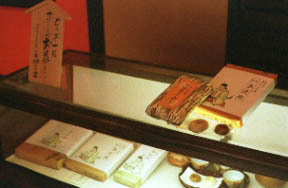 Souvenirs are "silvery snow store" Issa steamed filled dumplings. Only for local besides yudanaka Oyu and general use are impossible (the lodger needs to consult with an inn. ).